White Agate is a grounding stone, bringing about an emotional, physical and intellectual balance. They aid in centering and stabilizing physical energy. White Agate has the power to harmonize yin and yang, the positive and negative forces that hold the universe in place. A soothing and calming stone, White Agate works slowly but brings great strengths. It aids in seeking hidden truths. 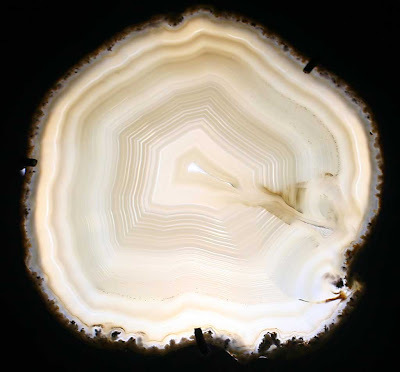 Psychologically, White Agate gently facilitates acceptance of one’s self, building self-confidence. It also aids self-analysis and perception of hidden circumstances. Spiritually, White Agate encourages quiet contemplation and assimilation of life experiences, leading to spiritual growth and inner stability. Extracted from: The Crystal Bible Volume 1, Judy Hall, 2003. Use the this link to generate traffic and earn money 10$ for every unique visitor that clicks your link. At Ornate Oriental, we bring you the finest in gemstone metaphysical and jewellery products. We offer a range of pendulums, pendants, healing wands, rings, bracelets and more. Currently, our shop is eBay-based. Direct e-mail orders are also accepted. Enjoy 10% off when you purchase 3 items and above in a single order! All item prices stated are not inclusive of postage charges. Items will be sent via Registered Mail to ensure safe delivery. This applies regardless of the number of items purchased unless postage rate has been specified for a particular item. SGD 1.00 for each additional item unless postage rate has been specified for a particular item. We want you to be completely satisfied! If, for any reason you are not satisfied with your purchase, simply notify us and return the item in original condition within 3 days of receipt. We will refund the purchase price upon receiving the returned item. Please note that all postage fees are non-refundable. Merry Christmas from Ornate Oriental!